MONUMENTA is an ambitious artistic encounter unmatched anywhere in the world, organized by the French Ministry of Culture and Communication. Each year MONUMENTA invites an internationally renowned contemporary artist to appropriate the 13,500 m² of the Grand Palais Nave with an artwork specially created for the event. A new kind of artistic performance, MONUMENTA is open to all, a way of discovering a unique event in which great French and foreign artists succeed each other each year. After the success of the first three MONUMENTA events entrusted to German painter Anselm Kiefer in 2007, to American sculptor Richard Serra in 2008, to French artist Christian Boltanski in 2010, each drawing close to 150,000 visitors in five weeks, then the British Indian-born artist Anish Kapoor whose work in 2011attracted over 270,000 visitors in six and half weeks. 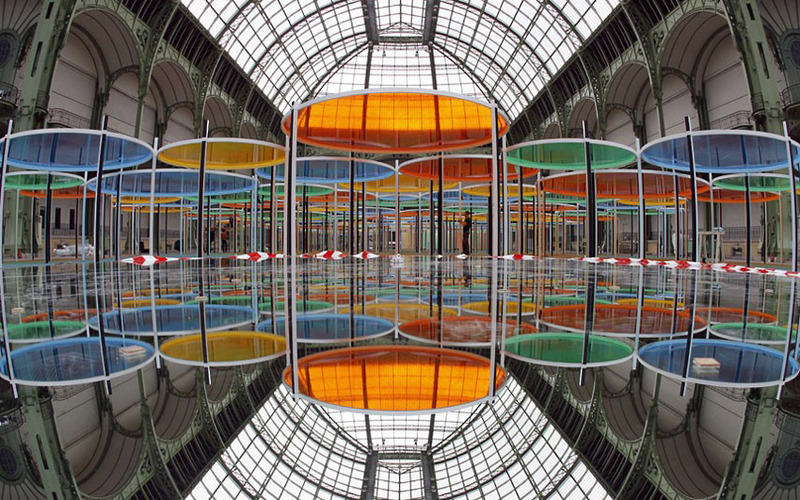 The edition of Monumenta 2012 (10 May – 21 June, 2012) features Daniel Buren, French conceptual artist one of the most highly recognized and honoured artists, by both his peers and the public.